Deke Sharon and J.D. 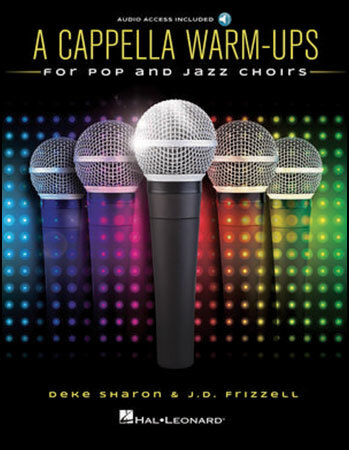 Frizzell have provided a wide array of warm-ups specifically designed for pop and jazz choirs that will also work well for contemporary a cappella groups. There are over 39 creative exercises which do much more than just warm up the voice; they help to relax the body, train the ear, and develop an awareness of dynamics and rhythm. This book can help you address the full range of skills required for great music making while polishing your weak spots and honing your strengths. Topics include rhythm, syllables, tone, intervals, dynamics, intonation, blend, balance, pitch, improvisation, solo techniques, and vocal percussion.